Given the post-Sir Alex Ferguson era and the unfamiliar taste of failure recent seasons have brought, it’s not a surprise that most Manchester United fans aren’t in the mindset to wait on those who will attempt to turn the tide and help the club compete for the biggest of honours once more. Romelu Lukaku is an example of this. The Belgian, who arrived at Old Trafford for £75m as the club snatched him from the grasps of Chelsea, began displaying the weaknesses his critics had highlighted from his time at Everton. His inability to maintain possession of the ball once given to him brought groans among the Old Trafford faithful, whilst his big game record continued to elude him, with Álvaro Morata, a summer target, sealing a 1-0 win for his side at Stamford Bridge rubbed salt in the wounds. The Manchester Derby, however, was most likely a career-low for the 24-year-old. Two defensive errors and yet another high-pressure game without any attacking input meant it was the breaking point for many fans. Though it wasn’t just any sort of criticism, Lukaku was racially abused online. 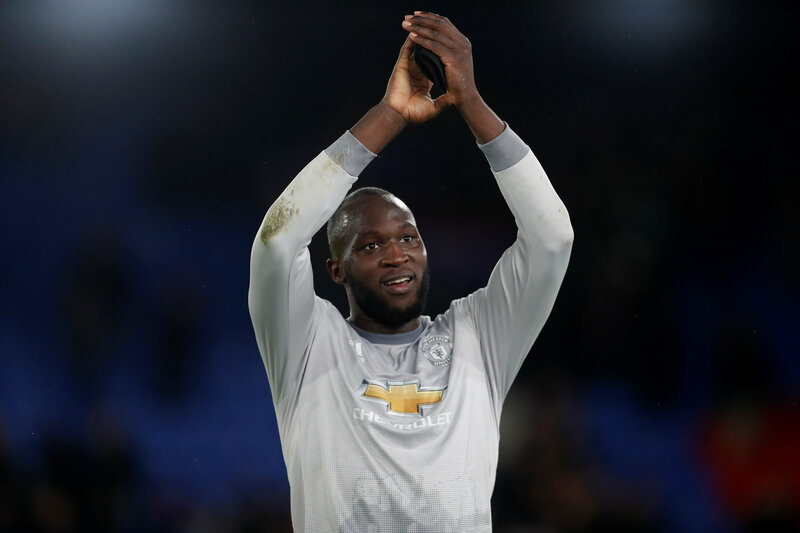 References to playing like a donkey were also rife from various fanbases and if Lukaku’s confidence was already at a low, the reaction to his latest performance would be sure to shatter it. From this point looking on, the remainder of Lukaku’s season was unpredictable. Many called for the recently recovered Zlatan Ibrahimović to return to the starting eleven, whilst others eyed up an audacious summer move for Tottenham’s Harry Kane. Fast forward to March and things have changed heavily. Lukaku has been one of the few consistent performers in recent weeks, scoring and assisting against Chelsea whilst also providing Marcus Rashford with an assist as the 20-year-old bagged a brace versus Liverpool. His late burst of pace in added time during United’s 1-0 win over Chelsea perhaps best highlighted his determination to prove his doubters wrong. As well as bettering his all-around game, he’s also scoring important goals more often. Nemanja Matić may have stolen the headlines in the 3-2 comeback at Selhurst Park, but Lukaku had earlier grabbed the equaliser with a very good goal given the bodies in front of him. Now on 200 career goals and 99 of those coming in the Premier League, Lukaku, despite his flaws, is without a doubt under-appreciated. At just 24, playing his trade in what is labelled the best league in the world, he sits just one goal behind Matt Le Tissier (100), five behind Didier Drogba (104) and surprisingly, just three behind Harry Kane (102), who many regard as the best striker in the world. Most of the 99 he has scored have come from spells at West Brom and Everton too, who aren’t exactly renowned for their attacking football like Lukaku’s rival forwards have featured in. The main reason for his lack of appreciation is most likely because up until now, his game has been solely goalscoring. Parts of his game aren’t easy on the eye, but they are becoming so under José Mourinho. Lukaku is not a Gabriel Jesus or Roberto Firmino, who’s excellent link-up play, ability to finish things themselves added with their off-the-ball work rate see them praised to the hills by fans. If the backs are against the wall, and the ball isn’t in his territory, Lukaku’s influence on a game can be small. This was shown best at Anfield back in 2017, where United’s negative set-up got them the draw Mourinho wanted, but the players were restricted from expressing themselves and Lukaku had suffered from that. However, his impact in games is growing, without a doubt. Breaking free from the ‘lack of goals against the top six’ tag has given Lukaku new-found confidence and a what seems like a bottomless pit of energy. His ability to bully a central-defender has been seen recently, with Dejan Lovren being the first to suffer from it. When receiving the ball with his back to goal, his hold-up play has also improved, which is a welcome addition for United defenders when under they are under pressure. What is often overlooked with Lukaku this season is how much his first-touch has come on. It’s a regular occurrence that his strength, pace and power will be complimented after scoring, but he has shown glimpses of his technical ability which has caught many by surprise. Take his assist to Jesse Lingard against Chelsea as an example. With his back to goal and Antonio Rüdiger applying pressure, a quick step-over saw him escape his marker before sending in a perfectly weighted cross for Lingard to head home past Thibaut Courtois. It was a moment that was never thought to be in Lukaku’s game, seeing as so many didn’t think the Antwerp-born forward was intelligent enough to do such things. Despite all of Lukaku’s strengths, his most adored trait is his post-goal celebrations that have been a thing over the past few weeks. A release of emotion have shown how much results mean to him, just like they do to the fans and it has been a key development in Lukaku’s road to winning over those who follow United. Whilst nobody has suggested he is the finished article, he is offering something any fan of any football club wants to see. Proof that a player cares. He wants to prove himself on the big stage and he desperately wants to win trophies. There aren’t many in this team that I’d like to see score more than Lukaku at this point and after coming through a period of heavy criticism, he is proving his doubters wrong game by game.